LASERs and electromagnetic railguns on Navy vessels? Echoes of Traveller (and other sci-fi) anyone? Re: The Future is Now!!! My only hope is that the naval gunner will make the quotes sign every time he fires his "laser." 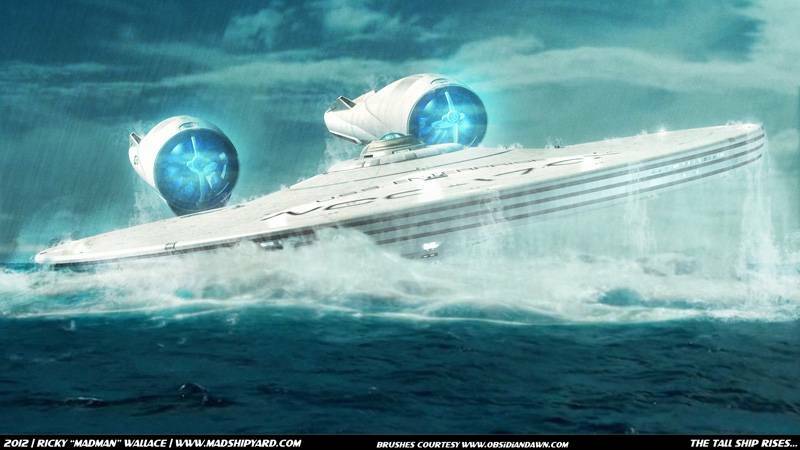 And in any case, send me the message when they have ships like these attached to the futuristic lasers and rail guns. Then I might be interested. Anyway, I don't even think that naval gun is hotter than 400 megajoules. You could barely cook an egg with that. You don't need no 400 megajoules for a space gun! Heck, a mere 1.21 jigawatts will bend space and time!!! 1.21 jiawatts? Great Scott! Science babble proving science quackery? No wonder Doc Brown ran from the room in terror when he yelled that out.